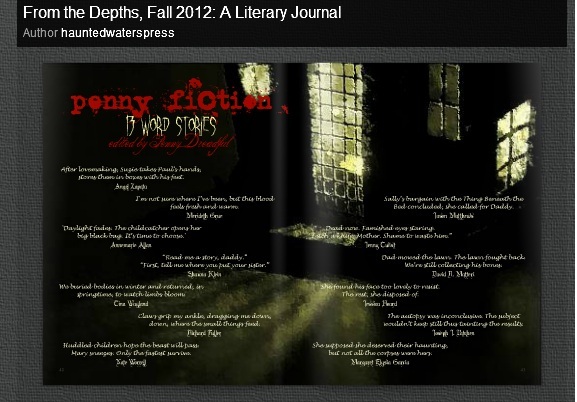 Other than trying to work and all that, I recently had a short, flash fiction piece accepted in the Fall 2012 issue of From the Depths from Haunted Waters Press. That is exciting and I’ll let you know when it is published. It was from a contest I entered and it is a mere 13 words long. 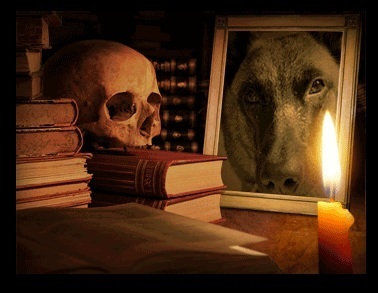 I am also working on a short story that I wrote recently. It needs cleaning up, a few eyes other than my own and all that but I do like it. It is called Weight Watcher and look for it to come out soon.